I was Christmas shopping today and was a tad bold and bought some pieces for myself. I just have absolutely no will power whatsoever! On the bright side, what I did buy came to €39.99 which was quite a good bargain which lessens some of that post purchase guilt. 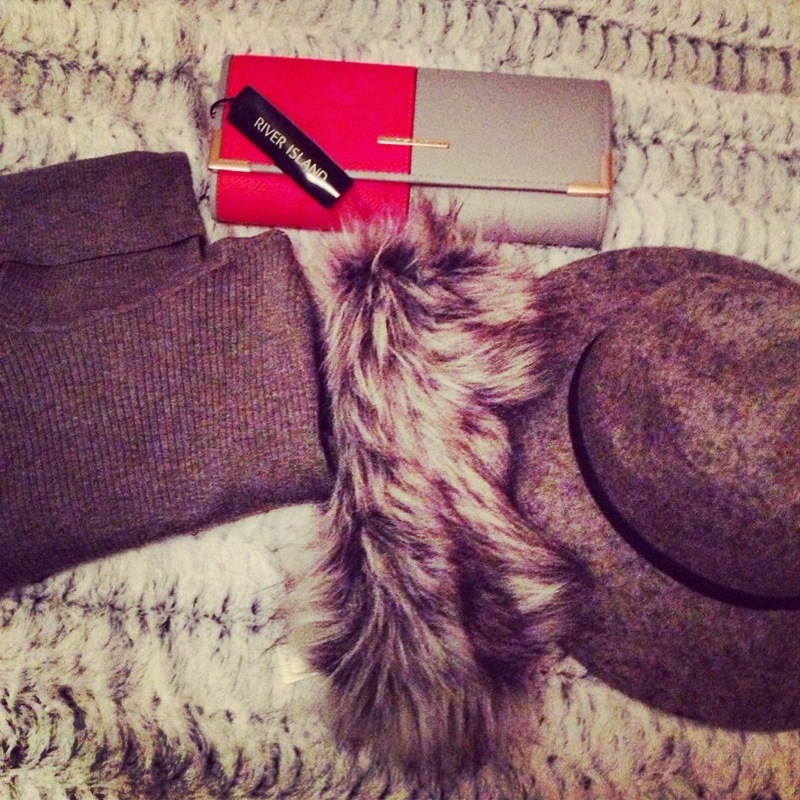 I’m obsessed with grey at the moment, I think it’s perfect for the Winter months and goes with everything. I was therefore pretty happy with the Grey Goodies I came across today. I simply could not part with them, I felt they needed a good home. 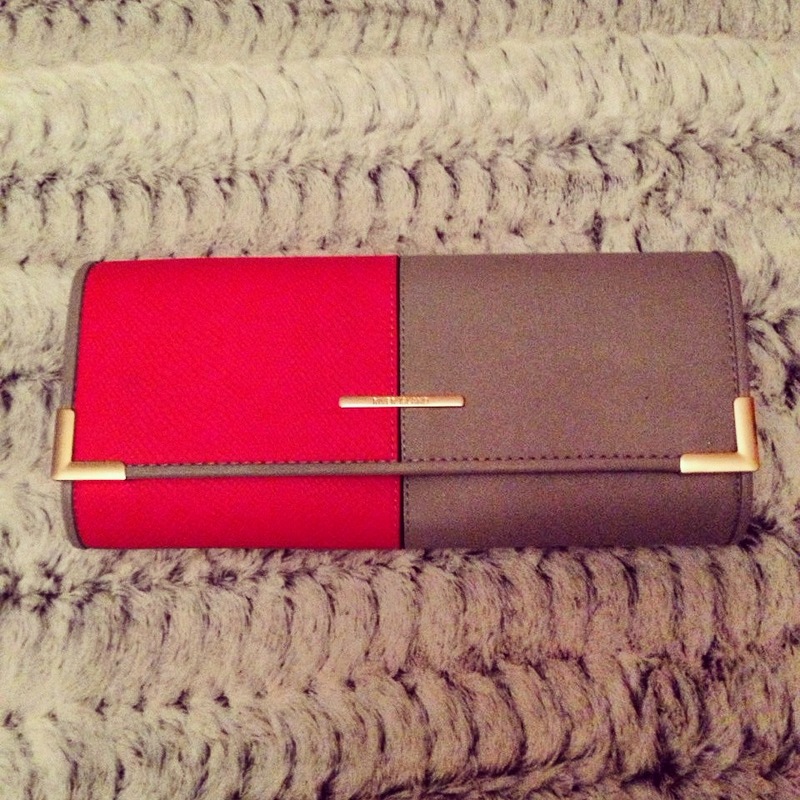 The Clutch Bag is always a necessity throughout the Christmas party season. I love the two tone look of this one and as this was on special offer and just couldn’t pass it up. 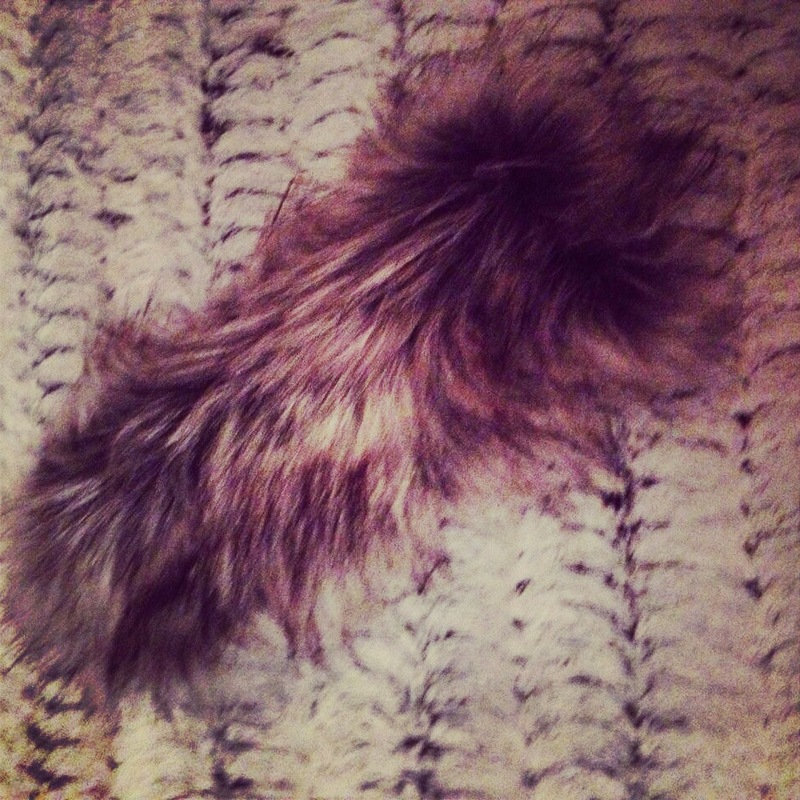 The Faux Fur head band is perfect for the freezing weather. I love faux fur and am slowly but surely building on fur accessories, perfect for Christmas too. 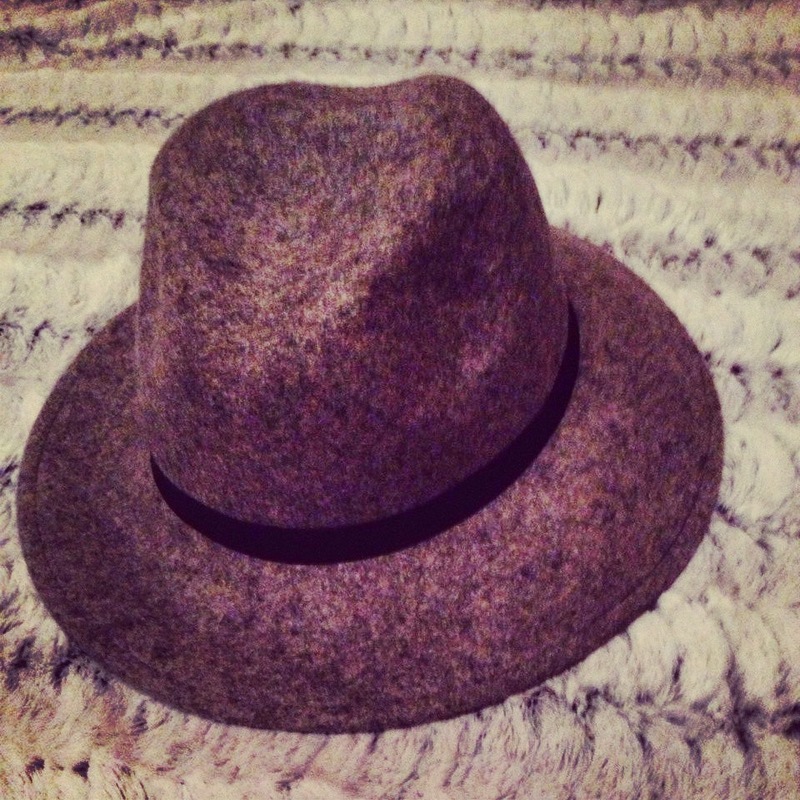 The Trilby Hat is also a style essential and I love not only the colour of this one, but also the texture. It feels and looks much more expensive than it was. I’ve so many outfit ideas for this that I literally hopped, skipped and jumped to the checkout. 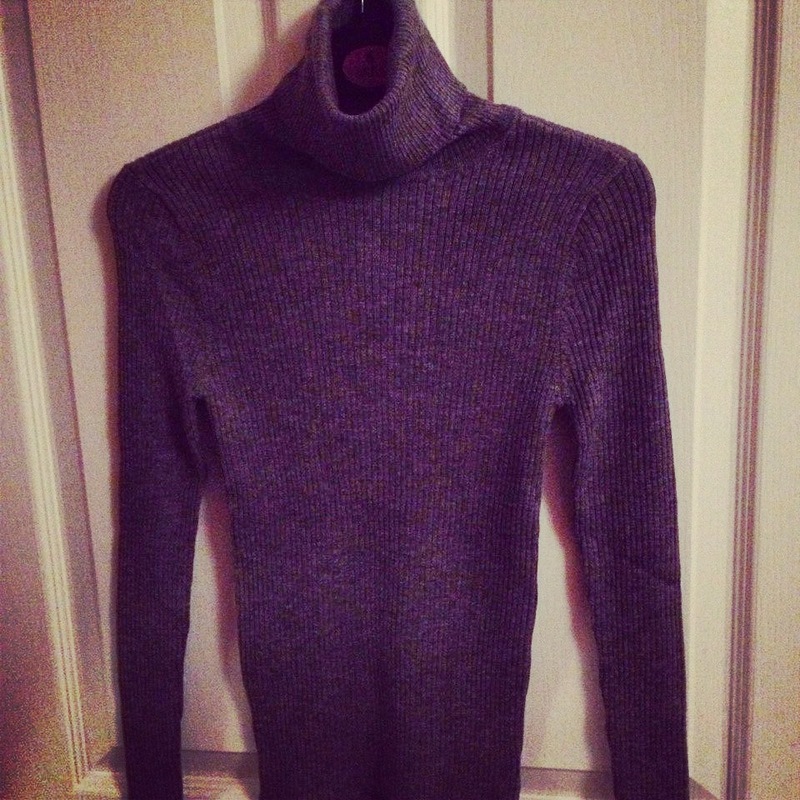 The Turtleneck is such a useful Winter piece. It adds instant style appeal to any look, whether dressed up or dressed down. I have bought so many since the cold weather has kicked in. This was such a steal too. I’m excited to start planning some Christmas outfits, get to the shops girls they’re some great pieces in the shops at the mo! This entry was posted in Fashion and tagged Accessories, Autumn, christmas, christmas shopping, cold, fashion, fashion blogger, faux fur, fblogger, festive, fur, goodies, grey, hat, highstreet, ice, newlook, orange, outfits, party season, pastels, Penneys, presents, primark, RI bags, River Island, shopping, style, trilby hat, turtlenecks, two tone, winter, winter warmer by ZOELEXA. Bookmark the permalink. I love anything grey! I love that hat!